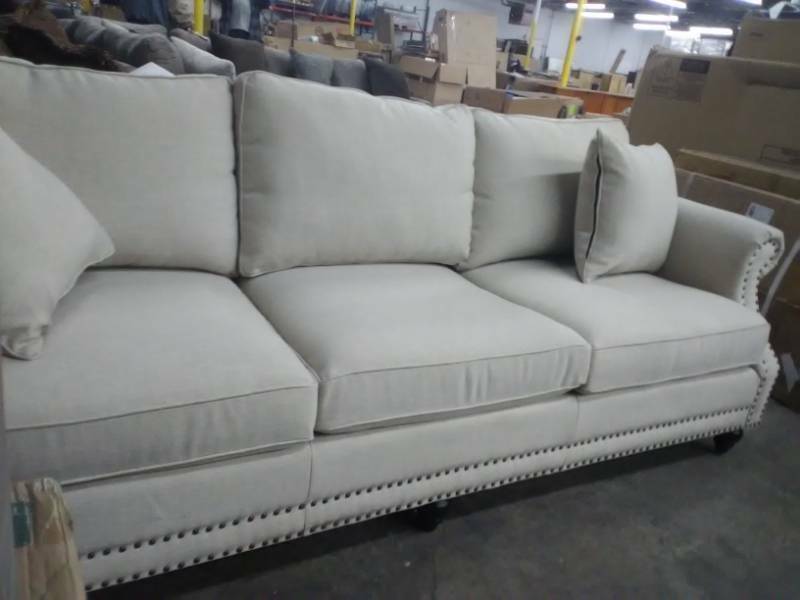 Exceptionally Sized: Each Sofa In The Camden Collection Measures 90.6''W x 37.4''D x 34.6''H and A Weight of 123.5lbs To Perfectly Fit Any Living Room, Den, or Parlor Area In Your Home. 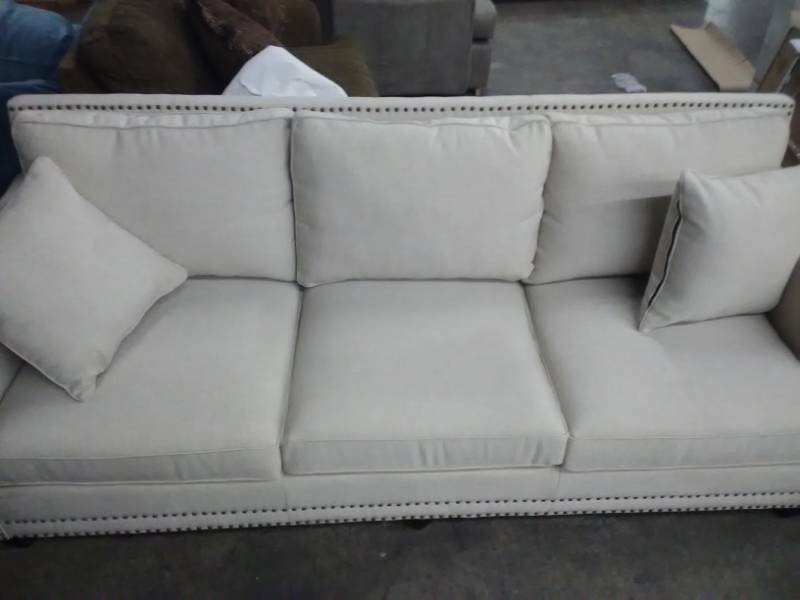 Only Minor Assembly Is Required For Your Convenience. 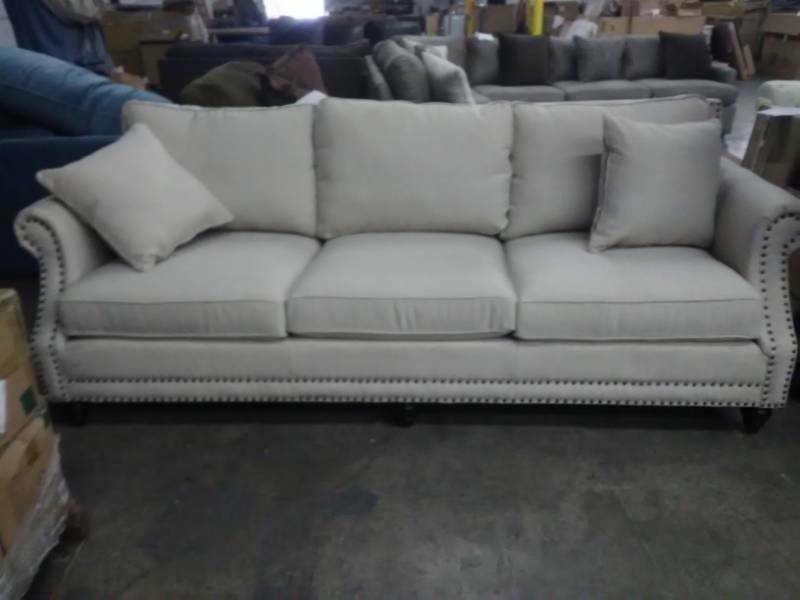 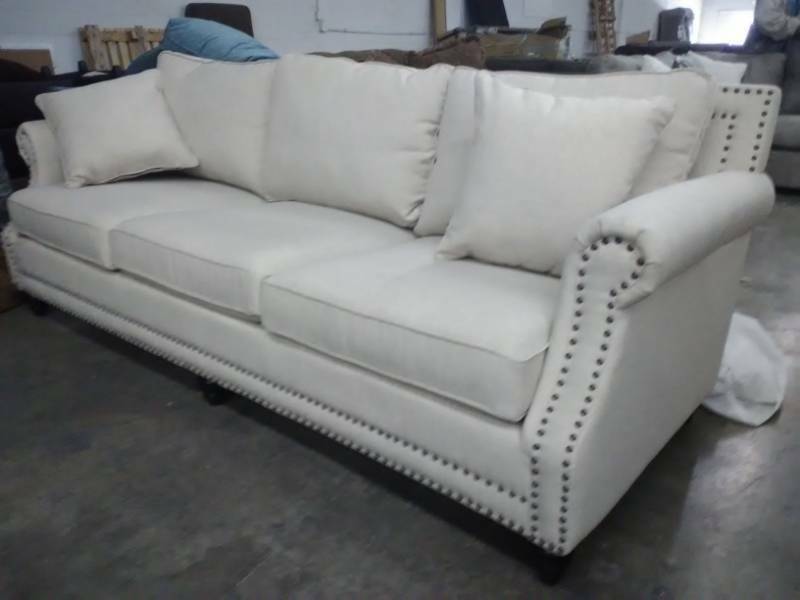 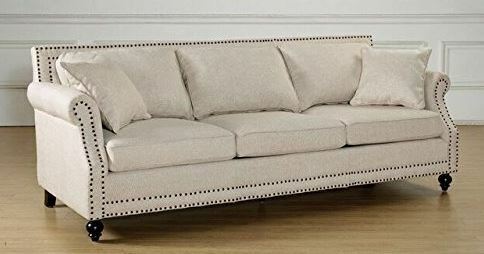 Built With Quality and Comfort In Mind: Each Camden Sofa Is Made With You In Mind, Built To Last With A Strong Kiln Dried Wood Frame, Sturdy Birch Legs, High Density Foam Cushioning, and Soft and Durable Linen Upholstery That Serve To Make This Sofa A Lasting Fixture In Your Home For Years To Come. 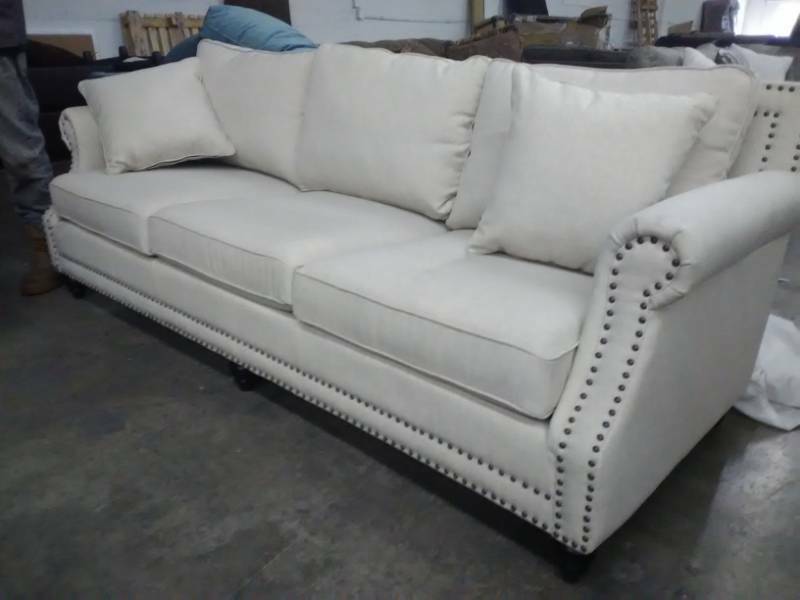 Designed With A Modern Sensibility: This Sofa In The Camden Collection Includes A Classic Shape and Design With A Beige Linen Upholstery With Complimentary Black Finished Birch Legs and A Hand-Applied Nailhead Trim That Create A Sofa That Makes A Lasting Impression.